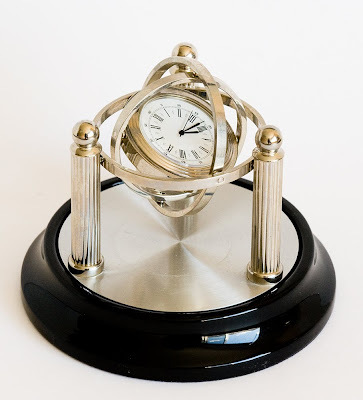 Well today is just a big mixed bag of stuff, from a stethoscope to a designer handbag and jewelry - a little outside of my usual since I try to keep things to a theme, so you'll just have to pick through them one at a time today to find what you need. 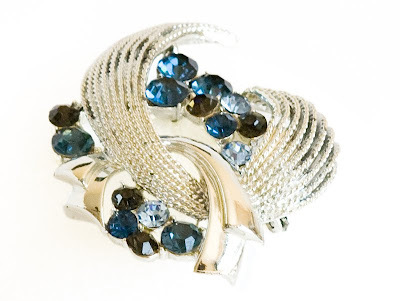 A vintage pin (brooch) from the early 1960s in silver plating with faux sapphires and rhinestones in a large sweeping design. This belonged to my mother and once upon a time also had a pair of clip-on matching earrings. My grandmother had the same set with green stones (or "faux emeralds" if you like, lol). These types of sets could often be purchased at department stores like Zellers, K-Mart, or Woolco (now WalMart of course) back in the 1960s and 1970s). 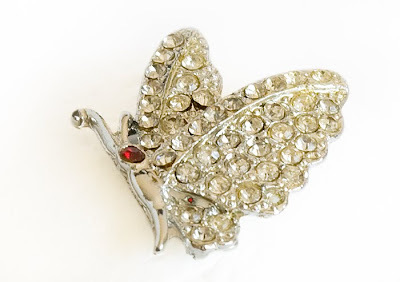 Here's another vintage pin that belonged to my mother - a butterfly design in silver plate with rhinestones and faux garnets. 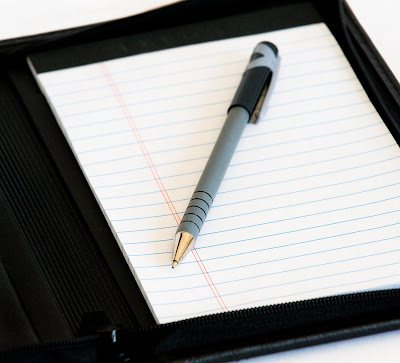 A rubber-coated ballpoint pen (very common and can be purchased in packs) on an ordinary lined notepad - every office has bunches of these. 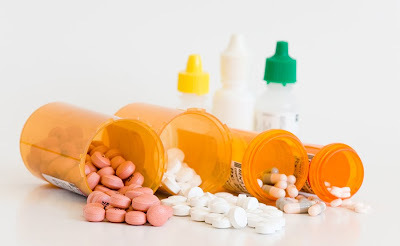 This speaks for itself - medicine bottles with the caps off and in the background are a selection of eye drops. 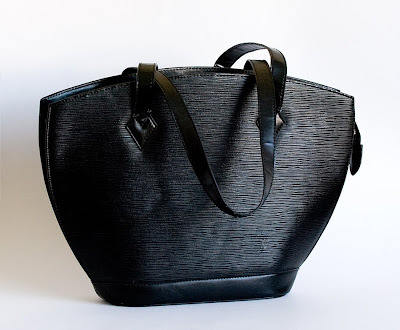 My daughter was lucky enough to pick up this Louis Vuitton black designer handbag at a garage sale for $2 - it's the real thing too, not a knock off. 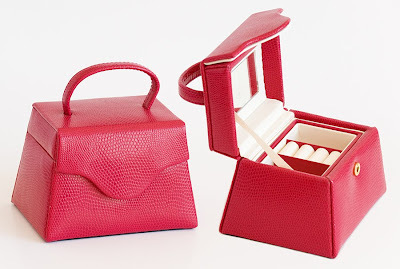 Cute little jewel box in red faux leather in the shape of handbag. A sweet gift for any little girl...or maybe even a big girl with something special inside. 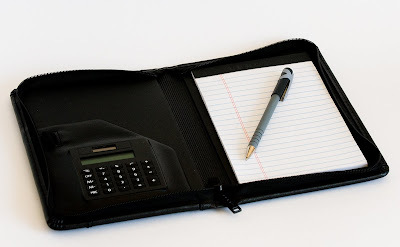 A planner or portfolio with black zippered cover, interior pockets, built in calculator, ballpoint pen and a lined notepad. Everyday stuff most folks carry around in their briefcase...at least folk in the business world, and maybe even some students. 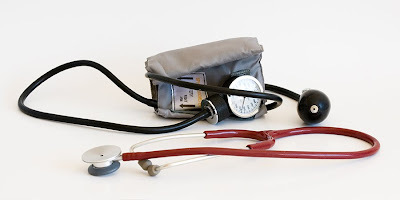 This blood pressure cuff and stethoscope are standard equipment for doctors, nurses and personal support workers. This set belongs to my daughter, whose an awesome PSW.